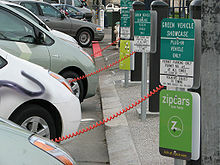 To open a Charging Station for Electric Vehicles may be a good business opportunity, according to our simulation. We’ve runned a draft model to simulate the economics of an EV recharging station deployed at an existing gas-station. The model assumes the electricity costs of Italy (Italy has among the highest cost in the EU). The model considers the infrastructure costs required to set up two plugs connected to a 50 kW AC/DC station (DC for fast charge) and the operational costs connected to run the station 12 hours/day operator-assisted and 12 hours as a pure self-service. To simplify the model it is considered the most popular EV on the market as the standard car (Nissan Leaf). By tuning the number of kWh delivered per day and the the local cost of the electricity, the models delivers the pay-back time of the investment. Some of the features included in the investment could be added in a second phase to lower the start-up capital: the roof over the plugs, the fast-charge DC inverter. The business would benefit from cross-selling services during the recharging time, taking between 30 minutes to 2 hours like refreshings from the local bar, additional car-services: car check-up, motor oil, car wash (internally). Start-ups like the British ChargeMaster or the Dutch Fastned are already down to the network-deployment phase, and seem to confirm the realism about a similar business model. The beckoning idea is that the major hindrance perceived by prospect EV buyers is the range – not price, not design, not the lack of a broad product line. Though the overnight charge allow the car for a minimum 120 km even in tough winter conditions, the fear of remaining stuck out of juice appears to being overcoming all the other advantages of an EV against a gas-fuelled car.